From Sutton Benger to Chippenham to Malmesbury to Bruges to Paris to…..Carnegie Hall NY! In 2014 the choir embarked on its first tour! 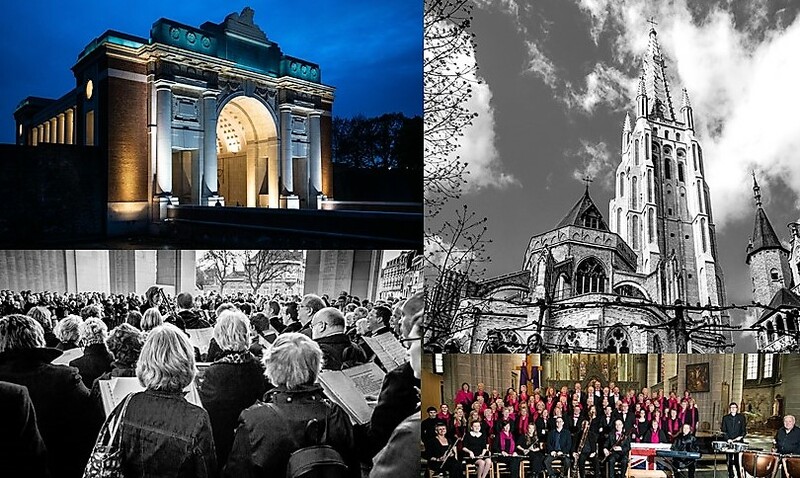 After performing a very nervous Flash Mob of Toto’s Africa at Folkestone, we nipped across to Belgium and had a fabulous time performing at some great venues – Sint Maartenskathedraal (Ypres), the Menin Gate (Ypres) and the Church of Sint Gillis (Bruges). Following our successful and thoroughly enjoyable experience in Belgium, the choir crossed the Channel again in April 2017 to perform at three stunning venues in Paris – Eglise de la Madeleine, Eglise St Louis en l’Ile and Eglise St Germain l’Auxerrois. The Village Singers represented the UK as part of a 250-strong international choir performing the US premier of his Symphonic Adiemus on 21st January 2019 at the Carnegie Hall in New York.